This story builds over a number of weeks, and heats up so beautifully, almost innocently. Grant skirts around his attraction as he completely misunderstands the relationship between Aubrey and Josh, which is both cute and funny. I loved his inventiveness and the fun he had in the craft sessions. The culmination of the classes, and the last-minute mercy dash, all added to the fun that finally got him the guy. Thank you, Ms. Baker, great story and it inspired me to go and do some crafty projects of my own! BRU BAKER got her first taste of life as a writer at the tender age of four, when she started publishing a weekly newspaper for her family. What they called nosiness she called a nose for news, and no one was surprised when she ended up with degrees in journalism and political science and started a career in journalism. Bru spent more than a decade writing for newspapers before making the jump to fiction. She now works in reference and readers’ advisory in a Midwestern library, though she still finds it hard to believe someone’s willing to pay her to talk about books all day. Most evenings you can find her curled up with a book or her laptop. Whether it’s creating her own characters or getting caught up in someone else’s, there’s no denying that Bru is happiest when she’s engrossed in a story. She and her husband have two children, which means a lot of her books get written from the sidelines of various sports practices. 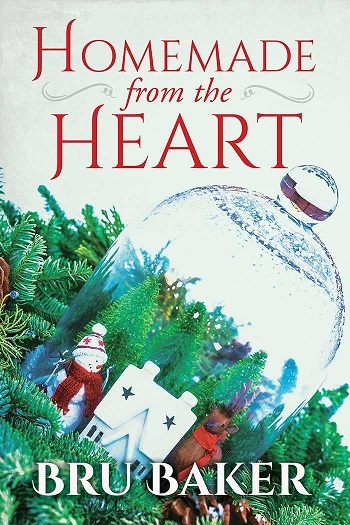 Reviewers on the Wicked Reads Review Team were provided a free copy of Stocking Stuffers: Homemade from the Heart by Bru Baker to read and review.